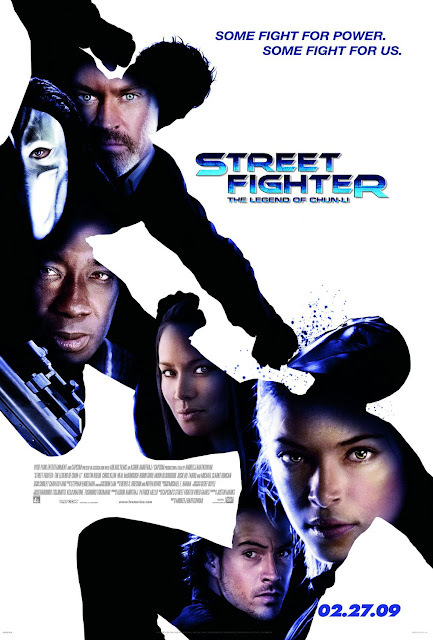 Chrichton's World: Review Street Fighter: The Legend of Chun-Li (2009): Makes the Jean-Claude Van Damme one look like a freaking masterpiece! Review Street Fighter: The Legend of Chun-Li (2009): Makes the Jean-Claude Van Damme one look like a freaking masterpiece! Why to write a review about a movie I didn't like? Well, simply for the reason to warn people that a movie like this, will be a waste of your precious time. I am not going to rant about plot or the bad adaptation of the video game characters or other elements concerning the Streetfighter universe. That also would be a waste of time. I will try to limit my criticism to a few points that matter. Since this is a movie based on a character based from a fighting game you at least would expect some good action. But for some reason the people responsible for this product couldn't be bothered. Even skilled martial artists like Robin Shou looked bad in this picture. The fighting scenes are edited so poorly that makes it real hard to enjoy them. And this is the second point I want to make. The lack of humour. This movie takes it self too serious. Say what you will about the Jean Claude van Damme version. At least it was funny as hell and a bleeping masterpiece compared to this piece of crap. So do your self a favour and ignore this movie! Above is the original review I wrote many years ago and I pretty much stick by it except I do want to add something about the odd choice of Kristin Kreuk as Chun Li. Why? She is not a martial artist. She is half Chinese but barely looks it and who cares about the rest. First and foremost Chun Li needs to be played by someone who can deliver on the martial arts front since her signature moves are pretty complicated. I can't even remember Kreuk or her stunt double getting close to any of those moves. What is the point if you are not even going to try? Same goes for Neal McDonough as Bison. It defeats the whole purpose of what appeals to fans in the first place.